THE USC THORNTON School of Music pays homage to composer and former dean Grant Beglarian (1927-2002) with a performance of New Music for Orchestra by the USC Thornton Symphony, with Donald Crockett conducting. Beglarian was the composer, foundation executive and educator who served as dean of performing arts at USC from 1969 to 1982. His compositions have been performed by the New York Philharmonic, Philadelphia Orchestra, and the Dallas, Detroit and Seattle symphonies. Born in Tiflis, Georgia, in the Soviet Union, he was raised in Iran and received his early music education there. Beglarian came to the United States in 1947 to study music at the University of Michigan in Ann Arbor, where he received his bachelor’s, master’s and doctoral degrees. HE STUDIED WITH Aaron Copland at Tanglewood from 1959 to 1960 and counted the American composer among his principal influences. After Copland’s death in 1990, Beglarian became instrumental in the restoration and administration of the Copland House in Westchester County, N.Y.
After leaving USC, Beglarian became president of the National Foundation for the Advancement of the Arts, based in Miami, Fla. From the mid-1990s until his death, Beglarian oversaw innovative collaborations between educational organizations and the Internet as international coordinator and director of global partnerships for Thinkquest. 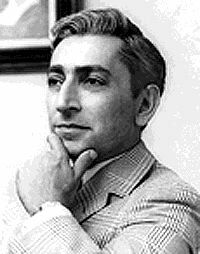 Beglarian died in July 2002.